All GARDENS OF MTN VIEW homes currently listed for sale in West Jordan as of 04/20/2019 are shown below. You can change the search criteria at any time by pressing the 'Change Search' button below. "HURRY JUST RE-LISTED ACTIVE! HAD MULTIPLE OFFERS, BUYER FELL THROUGH AFTER 20 DAYS DUE TO FINANCING. FANTASTIC OPEN & VAULTED 5 BR. 4 BA. 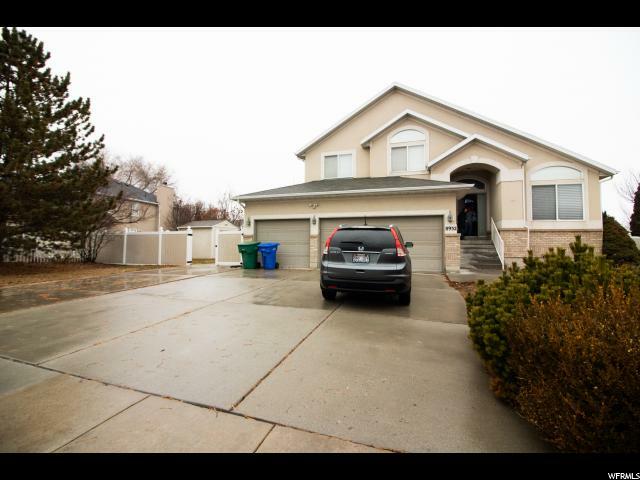 HOME ON CORNER LOT IN HIGHLY DESIRED WEST JORDAN NEIGHBORHOOD. HUGE VAULTED LIVING ROOM, LARGE FAMILY ROOM OFF KITCHEN HAS GAS FIREPLACE, 1/2 BATH, LAUNDRY ROOM. 3 CAR GARAGE WITH RV PARKING & LARGE DRIVEWAY TO PARK ADDITIONAL CARS. MASTER BR. HAS SEPARATE TUB/SHOWER, DOUBLE SINKS, LARGE WALK-IN CLOSET, 2 LARGE BEDROOMS & FULL BATH ON 2ND FLOOR. FINISHED BASEMENT HAS 2 LARGE BEDROOMS, 3/4 BATH, HUGE BEDROOM WITH SITTING AREA COULD BE A 2ND MASTER. NEWER WATER HEATER, SERVICED FURNACE, NEWER WATER SOFTENER, STORAGE. CLOSE ACCESS TO FREEWAY OFF 9000 S. & 2200 W. CLOSE TO SCHOOLS, SHOPPING, GAS STATIONS, RESTAURANTS, MOVIES, BANGERTER HIGHWAY. AGENTS PLEASE ONLY TEXT ANITA TO SHOW. "